When you walk in the door you’ll notice there’s something extra special about this lovely house. We’ve installed all kinds of smart-home tech throughout so you can experience TDS Fiber for yourself. From the doorbell and security cameras, to the thermostat and refrigerator, it’s all on TDS’ super-fast, 1Gig Internet. 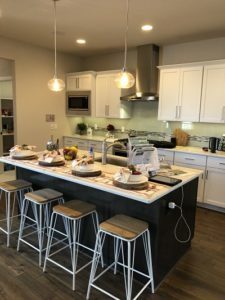 There’s an iPad on the granite kitchen island, ready for you to control all of connected technology. Feel free to sit down on the couch in front of the stone fireplace and pull up some TDS TV while you do. And, if you want more information, you’ll find our space in the heated and cooled 2+ car garage. 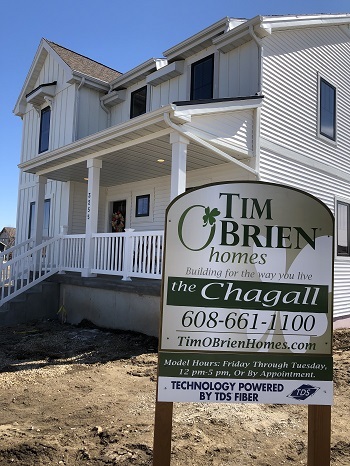 The new model home is located at 3255 Prospect Drive, Sun Prairie, Wis. Stop in anytime Friday through Tuesday from 12pm-5pm (or by appointment) to learn more about Tim O’Brien Homes and experience TDS Fiber. There will always be a comfy chair, TDS TV, and TDS Fiber information available—but we’d be delighted to give you a tech tour and talk more about what TDS Fiber and 1Gig can do for you. 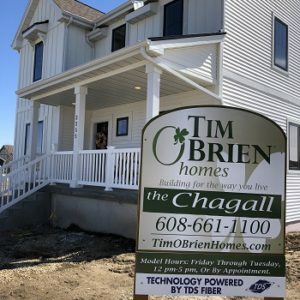 To schedule a time, visit tdsfiber.com/demo or call Scott at 866-240-5905.